Armenta bracelet from the New World Collection. 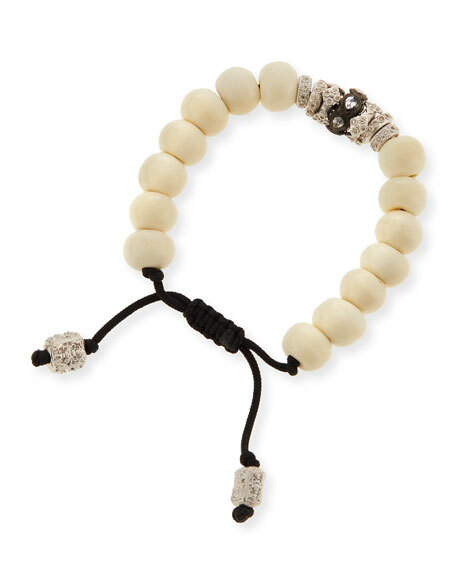 White bone beads on a woven nylon cord. Stacked rondelle beads with bezel-set champagne diamonds and white sapphires. For in-store inquiries, use sku #2098451.